At Canterbury Tech we have a diverse group of members, from software, services, electronics, high-value manufacturing, health-tech, to agri-tech businesses. Our member organisations range from small start-ups to global multi-nationals. We also welcome individuals seeking a career move or entering into the tech community. We currently have 135 individual members, 150 company members and over 100 student members. The core member benefits include a range of services; multiple events and workshops throughout the year, information flows (newsletters, social media updates & news bulletins), introductory meeting and opportunities to engage with a wide range of tech sector members. This website is designed to provide a platform to showcase our members and their news stories, find useful information about the tech ecosystem, and to make it simple for anyone looking to partner with you through a listing in our members directory. The Cluster is a great platform for networking and an excellent way to meet others from the local tech community who can help your business move to the next level and become more prominent in your industry. We provide a forum for like-minded individuals to come together to share ideas, strengthen ties, and make strong business connections and partnerships. Use our events as a platform for gaining knowledge and understanding the latest trends and best practice in the tech sector. Our events and workshops provide excellent opportunities to extend your knowledge. Even outside of these official events, members have constant opportunities for peer-to-peer learning and mentorship that foster experience and knowledge sharing. 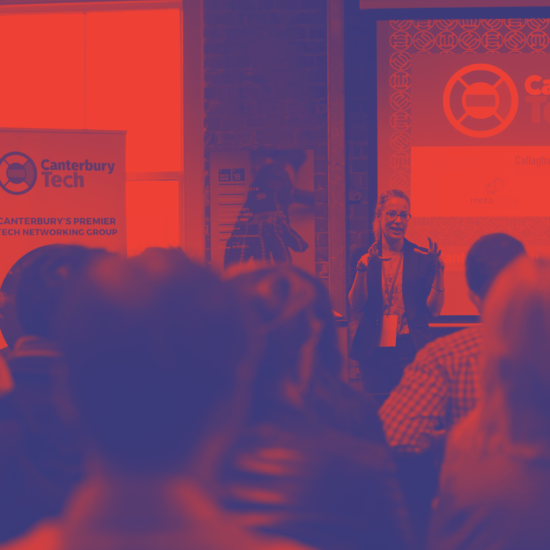 Canterbury Tech is a valuable part of the New Zealand tech ecosystem and helps tie together experiences, opportunities and achievements. We partner with many other national associations and organisations and give a unified voice to the sector with the aim of greater prosperity for New Zealand underpinned by technology! Our communication channels available to members provide informative resources that help you stay on top of industry news & events.